The reasoning behind the name Snoozing is that it's an answer (of sorts) to the excellent Amstrad CPC demo Wake Up!, a call to action by developers Benediction. 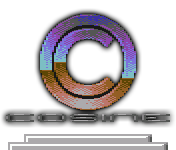 This is also the first Cosine product developed for the Amstrad CPC and only the third piece of Z80 code written by T.M.R (he claims to only have understood one of the other two) and is running in mode 2, the Amstrad's 640x200 pixel two colour mode - midline colour changes have been (ab)used in order to make the logo more colourful. Trivia: the music is taken from the game Saboteur 2. This demo also comes in Commodore 128 flavour.